Sterling Silver. Size: 1.8 x 0.8 x 2.5cm. 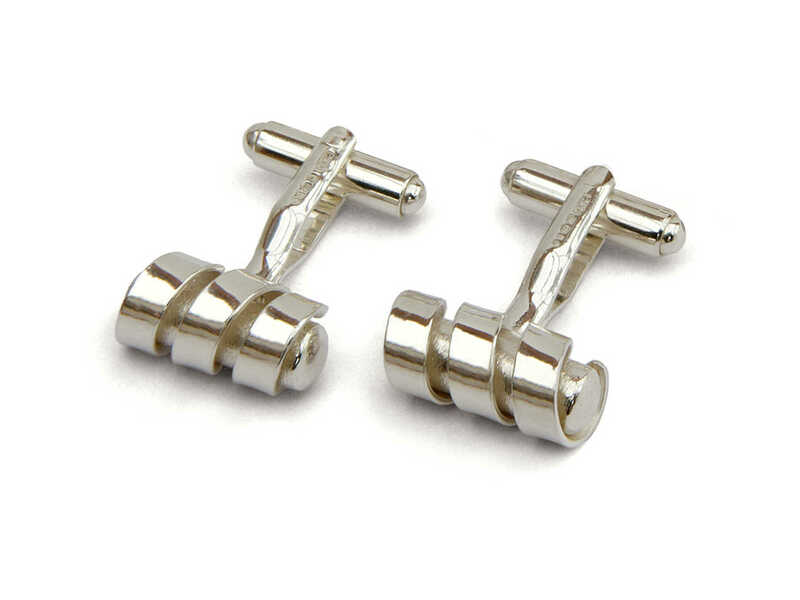 This innovative cufflink design also combines textured (matt) and polished silver finishes, but the finishes applied on the coil and the bar inside are reversed. The polished silver coil, which is a separate moveable part, is secured into position onto the inside textured cufflink bar creating a playful effect.